Niyamgiri You Are Still Alive is an award-winning documentary about the struggle to protect Niyamgiri from the UK mining company, Vedanta. In 2006, Sterlite, one of Vedanta’s subsidiaries, built a refinery alongside the Niyamgiri Hills in Orissa, India. Vedanta’s plan was to blast open the hills for bauxite, an important mineral used in the production of cement, makeup, soda cans; and, among other things, nuclear-capable weapons. However, the hills are located in a reserved forest area and they are home to Indigenous communities like the Dongria Kondh. The company repeatedly claimed that it wouldn’t go ahead with the mine if the Dongria Kondh didn’t give their expressed consent; But their actions often said otherwise. Deep down, the company knew that the Kondh would never say yes to the project, because it would destroy the region’s biodiversity and the Kondh’s most sacred site: the home of their God, Niyam Raja. Niyamgiri is also the source of two rivers, the Bansadhara and Nagaballi. The existing refinery currently consumes about 30,000 cubic meters of water per day, which is gravely affecting local ecology and the Indigenous communities’ access to water. Toxic waste from the refinery further pollutes the water, ground and air. After eight long years of standing up to Vedanta, on August 24th, 2010, at a moment when international support for Niyamgiri had peaked, India’s Environment Minister rejected the mining operation. 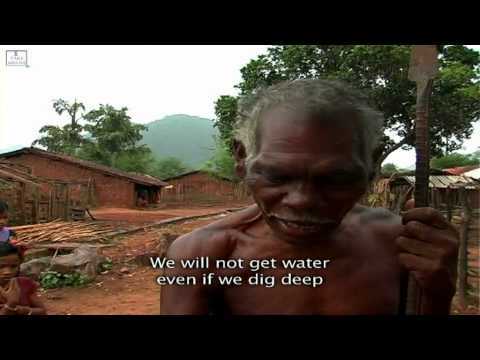 In 2010, Niyamgiri You Are Still Alive won the Vasudha, India’s only government award for an environmental film. Update: Despite the hard-fought victory, Vedanta is once again trying to gain entry to Niyamgiri. On February 2, 2011, they approached the Orissa High Court to overturn the Environment Minister’s decision.